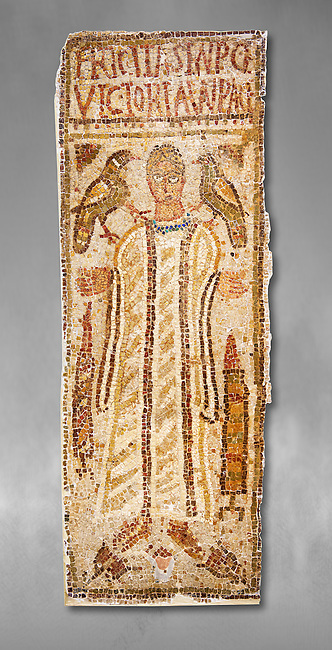 The Christian Eastern Roman Byzantine memorial funerary mosaic for Felicitas and Victoria. A mosaic depiction of a female decorates the grave of Felicitas and Victoria which bears their inscription and that they departed in peace. Lit candles representing eturnal life and birds are also depicted on the funerary panel.